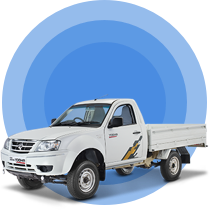 The Tata Yodha is a high performance commercial truck with a payload capacity of 1 to 1.5 tonnes and a flat loading area to enable easy loading. 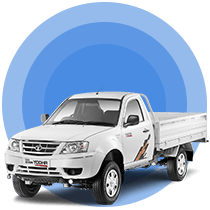 It finds great usage in transportation of fresh products like fruits and vegetables, poultry, fish, and milk. As a light support service vehicle, Yodha is also ideal for use in tea gardens and construction sites. The slick and comfortable cabin is designed to provide maximum comfort to drivers who spend long hours driving. 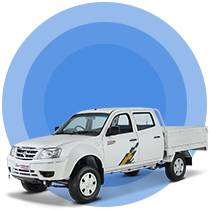 The Yodha has been designed to perform well across different terrains and is available in 4x2 and 4x4 variants.